From the 1960s through the ’90s, Staples’ Orphenians sang in the Virgin Islands, Austria, Italy, Poland, Belgium, Switzerland, Germany, the Netherlands, Romania, the UK and the Czech Republic. Nearly 2 decades ago — after his freshman year of high school — Luke Rosenberg’s chorus traveled from Michigan to Europe. The month-long trip made an indelible impression — and sparked a desire to become a choral music teacher. Today, Rosenberg directs Staples High School’s choral program. So when the Orphenians were invited to Australia, he seized the chance to take the elite a cappella group on its greatest adventure yet. This summer, his singers will spend 4 days in Sydney. They’ll join ensembles from around the world — of all ages — rehearsing with Grammy winner Craig Hella Johnson, conductor of the famous Conspirare ensemble. The capstone is a performance under Johnson at the Sydney Opera House. Orphenians will sing an eclectic assortment of choral music — including the world premiere of a piece by Jake Runestad. The group then travels to Cairns. They’ll visit the Great Barrier Reef, a wildlife park and rain forest before returning to Westport. Providing that experience — and all the others involved in a trip like this — is Rosenberg’s goal. He does not expect every student to have the same reaction he did, years ago in Europe — “they won’t all become music teachers,” he jokes — but he does hope they’ll learn a bit more about the world, and themselves, through music. Of course, taking a group of teenagers to Australia is not cheap. Orphenians are sponsoring a cabaret with Broadway star/Westporter Kelli O’Hara, and Broadway star/Staples alum Adam Kaplan. It’s already sold out. There’s also a GoFundMe page (click here). “06880” is “where Westport meets the world.” This summer, Orphenians are where Staples meets the Sydney Opera House. This entry was posted in Arts, Entertainment, Organizations, People, Staples HS, Teenagers and tagged Craig Hella Johnson, Jake Runestad, Luke Rosenberg, Staples Orphenians, Sydney Opera House. Bookmark the permalink. Many decades later, I still have memories of our Orphenians trip to Graz, Austria and Venice where a thief jumped out of John Ohanian’s window into a canal. Memories of life. My singIng still continues. Go Staples music! I am a parent of an Orphenian. Thank you so much for writing such a great piece chronicling the rich history of Staples High School music abroad. There was so much I didn’t know about the history of the group representing Westport abroad. The young men and women of the Orphenians are so looking forward to taking this musical and educational journey. That being said, the financial need is real for many of the students. The Orphenians need to raise the money for each member to be able to participate, or they won’t be able to go. It would be amazing if we, as a community, could chip in to help them realize this dream. If any of you have ever been delighted by the music of the Orphenians, have attended many of the free community concerts they perform each year, including the Pops concert at the Levitt. 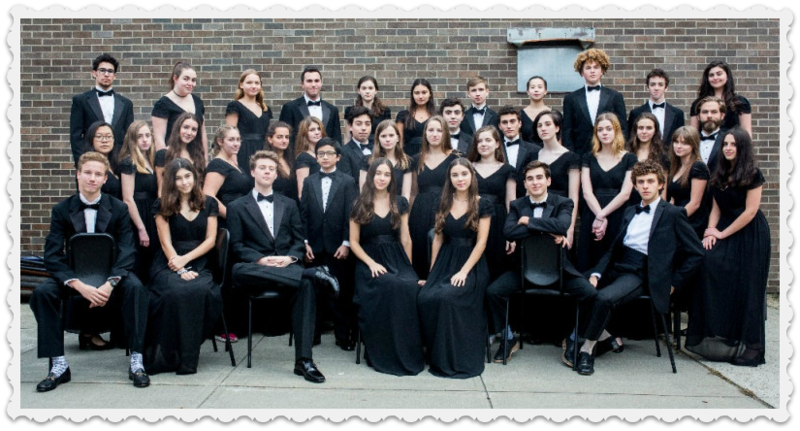 Have witnessed the winter magic through song at the annual town hall tree lighting or have heard The Orphs caroling at various churches and clubs (including their special annual concert for the venerable Y’s Men) please consider donating. If you WERE an Orphenian one upon a time, please consider donating. If you simply passionately support music in our schools and experiential learning, please consider donating. No amount is too small and every donation is so appreciated by the group.